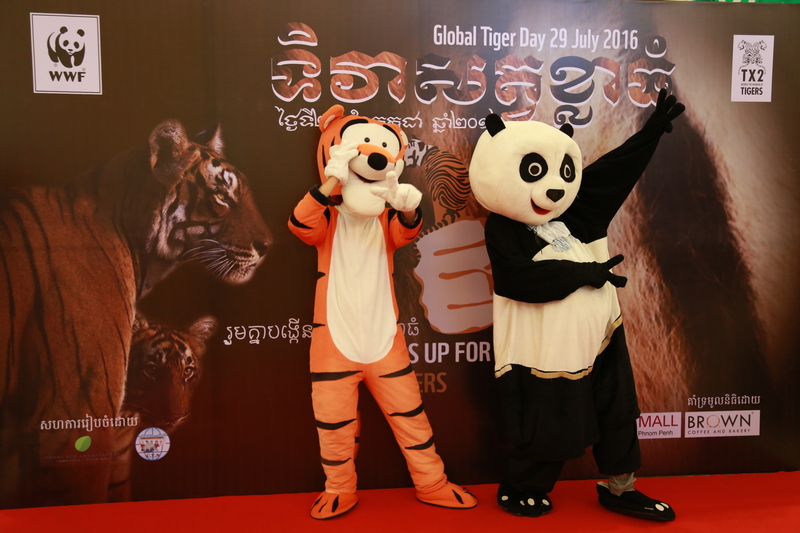 WWF celebrates the Global Tiger Day 2016 with the rise of tiger numbers in Asia on 29th July. For the first time after decades of constant decline, the global number of tigers in the wild rose from estimated 3,200 in 2010 to 3,890 in 2016. This new figure is based on the best available data and the latest national tiger surveys. Unfortunately there is still a lot of data missing because of an north/south divide. Countries like Russia, India, Nepal, Bangladesh, China, and recently also Bhutan, presented their tiger surveys with actual numbers. These countries showed an increase in numbers or presented their figures for the first time. „This offers us great hope and shows that we can save species and their habitats when governments, local communities and conservationists work together,” said Marco Lambertini, Director General of WWF International. On the other hand, Myanmar, Thailand, Malaysia and Indonesia are still missing or delayed with their surveys. In Malaysia, the first nationwide tiger survey is underway. In Myanmar, there are ongoing talks with the government about development of a new tiger action plan. Thailand provides only site specific data of tiger populations, but a current population estimate is still in negotiation with the government. In China, evidence of tigers is only found in Northeast China and a field survey is currently going on. An island-wide occupancy survey was published in Indonesia in 2011 and extensive survey work across Sumatra is on the way. Cambodia, the Lao PDR and Vietnam will not do any surveys because of the lack of viable breeding populations in their countries. The last tiger in Cambodia was spotted in 2007. A camera trap image of the tiger was triggered in the Eastern Plains Landscape in Mondulkiri Protected Forest (today Srepow Wildlife Sanctuary). Cambodia currently has no population of breeding tigers anymore, regardless of officials‘ affirmations. „There is still a long way to go for Cambodia to restore tigers in Cambodia“, so Chhit Sam Ath, Country Director of WWF Cambodia. He points out that law enforcement has to be improved, infrastructure, mining activities and deforestation have to be halted in protected areas. WWF-Cambodia regards the Eastern Plains Landscape with 30,000 km2 as the best region because of the abundance of tiger prey such as banteng, buffalo, deers and wild pigs. WWF-Cambodia is currently conducting a review of its last feasability study. „With the protection of the wildlife and a viable population of tigers, Cambodia could build up a new and important ecotourism destination in the world, like India or African countries“, so WWF-Cambodia. 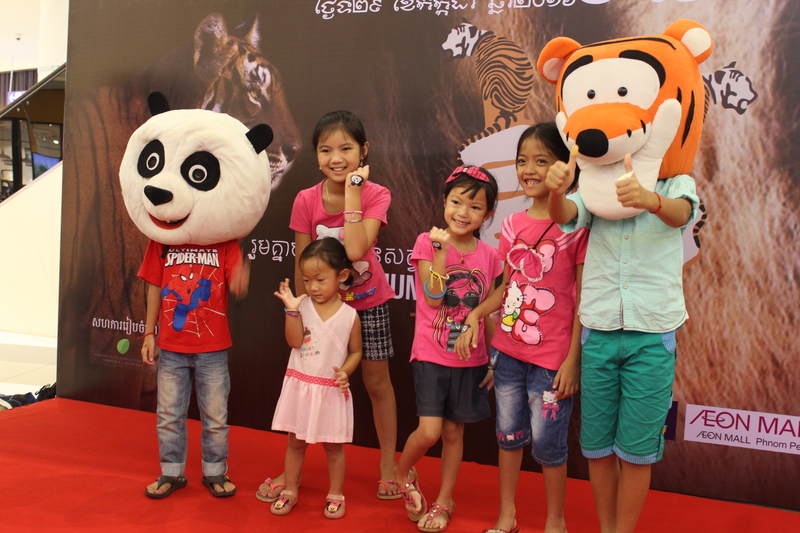 WWF-Cambodia supports the Cambodian Tiger Action Plan (CTAP) written by the Royal Government of Cambodia as part of Cambodia’s commitment to the global goal of doubling tigers worldwide (Tx2) by the year 2022. 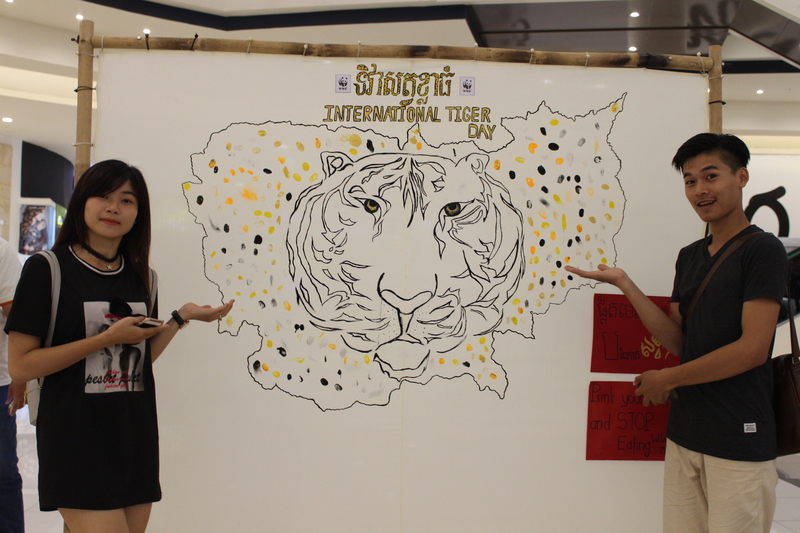 In April 2016, the 3rd Asia Ministerial Conference on Tiger Conservation was the latest step in the Global Tiger Initiative process that began with the 2010 Tiger Summit in Russia where 13 tiger range countries met to give tigers a chance for the future. Governments at that meeting agreed to the „Tx2“ goal to double wild tiger numbers by 2022. “A strong action plan for the next six years is vital”, said Michael Baltzer, Leader of WWF Tx2 Tiger Initiative. “The global decline has been halted but there is still no safe place for tigers today“, he warned. WWF is calling governments do take action immediately or tigers will not have a place to live in Southeast Asia anymore. Only with actual data and corresponding surveys national concepts can be agreed for the protection of tigers, WWF appeals. There is still a huge demand for tiger parts in Asian countries such as China and Vietnam to be used in traditional medicine. Poaching of tigers for their bones and other body parts, though protected internationally, is the main threat. Statistics from TRAFFIC, the wildlife trade monitoring network, show that a minimum of 1,590 tigers were seized by law enforcement officials between January 2000 and April 2014, feeding a multi-billion dollar illegal wildlife trade. With more than 19 billion U$ in revenue, illegal wildlife trade ranks number 4 in illegal activities worldwide after drugs, human trafficking and piracy of products, as WWF Germany pointed out in June 2016. 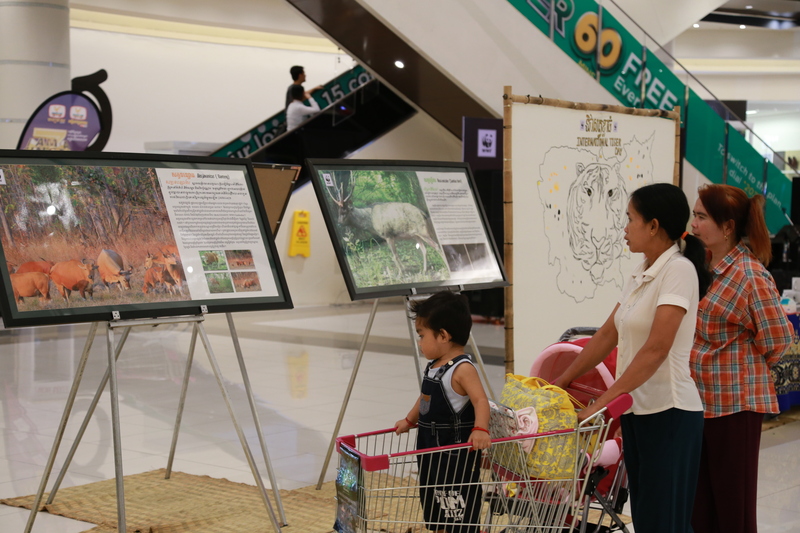 To celebrate the Global Tiger Day 2016, WWF-Cambodia organized a „roaring“ video competition on Facebook and a big event in Cambodias biggest shopping „AEON Mall“ to raise awareness about the importance of tigers for Asias biodiversity. 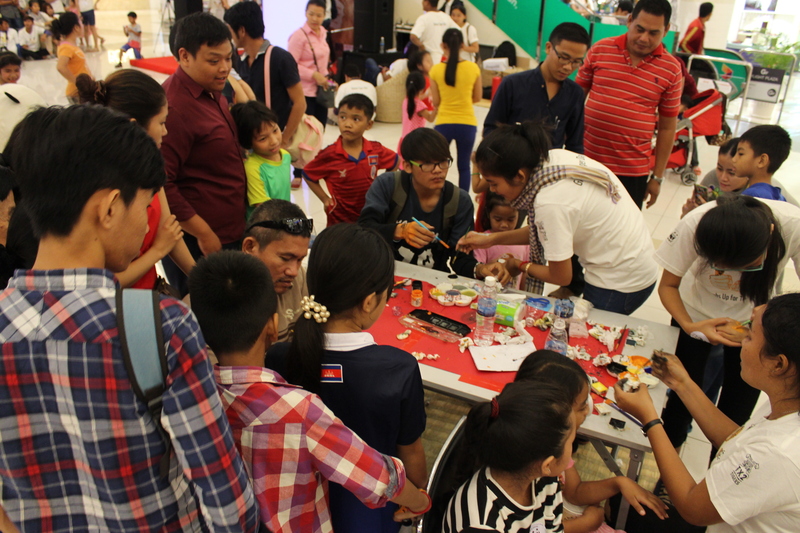 An experienced ranger told about his work, quizes, guessing games, a role-play and performances attracted the crowds on 29th July this year.